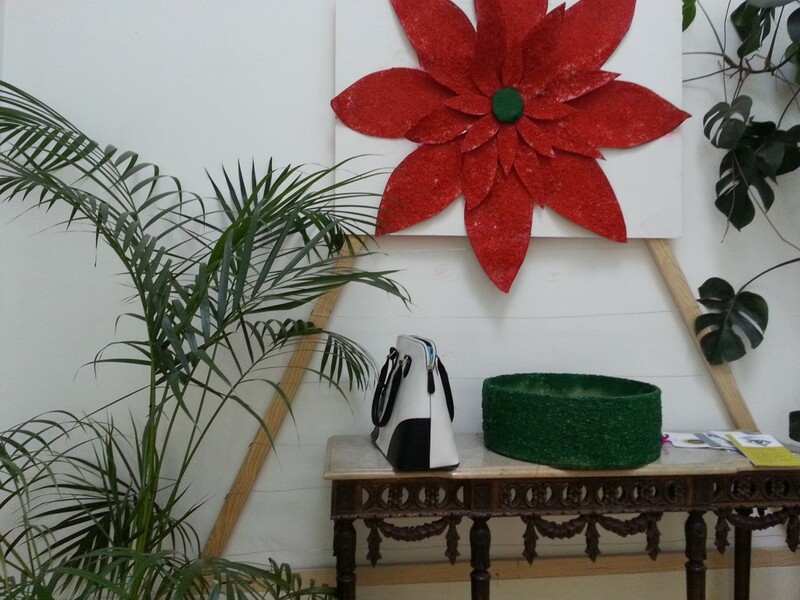 Next month Centro de Convívio para Idosos do Bonfim (Living Center for Seniors of Bonfim) will close its doors. 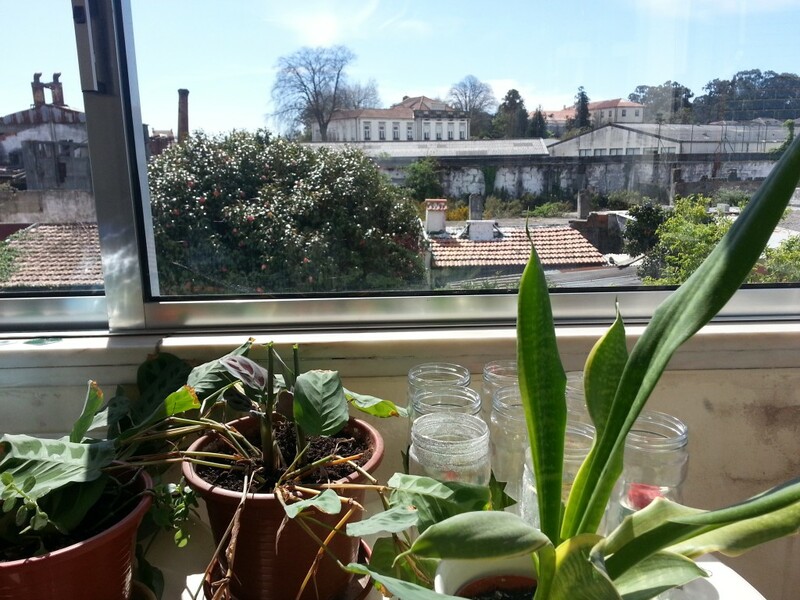 The users will move to a new centre and, while we hope that new centre will join COLABORAR, we are certain that we will miss the people and the old and beautiful building. We will not forget the incredibly warm people from CCIB nor the moments of joy we had at the centre. Thank you for being part of COLABORAR and for having accompanied our history and victories. Thank you for sharing with us your concerns, difficulties, battles, reasons for pride and happiness. We have learned many things about the Third Age and people in general. This helped us on our research work and, most of all, enriched us as persons. 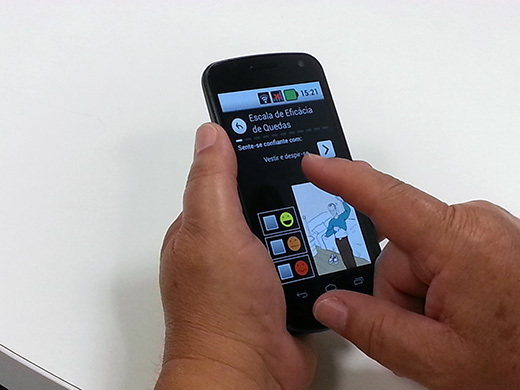 Almost 15 seniors of Oporto joined the more than 400 users of COLABORAR. 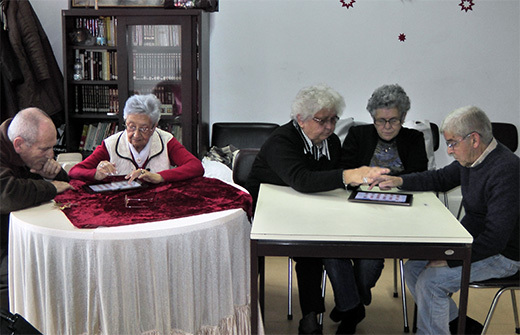 The project was recently presented at Informatics classes for seniors and all adhered to this group that helps create technological solutions to improve well-being amongst elderly people. Participate and be part of this group. 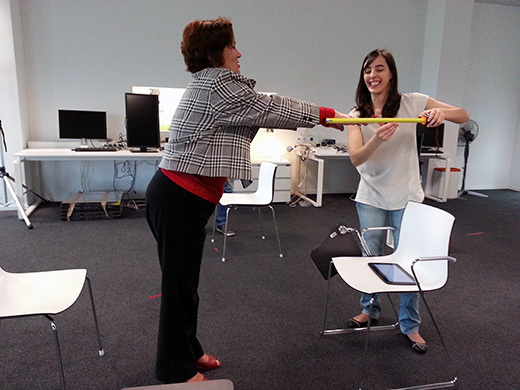 At COLABORAR we value the proximity with users. 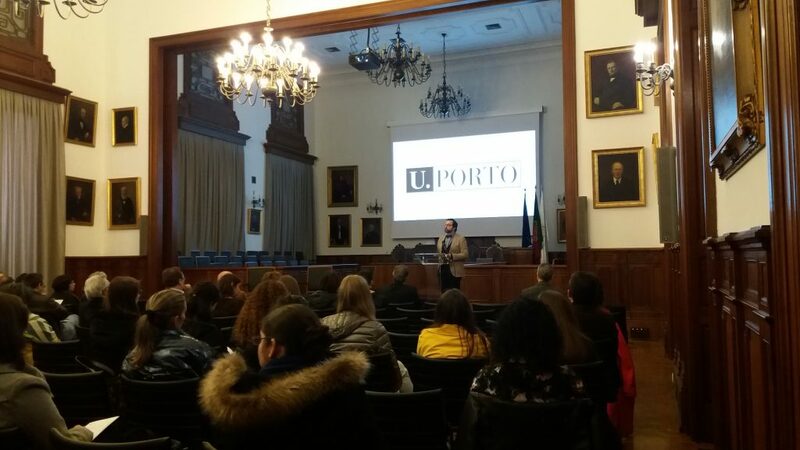 With the goal of becoming closer to participants and the public in general, COLABORAR created its Facebook page with exclusive news about the project. Join us on Facebook and stay up to date! 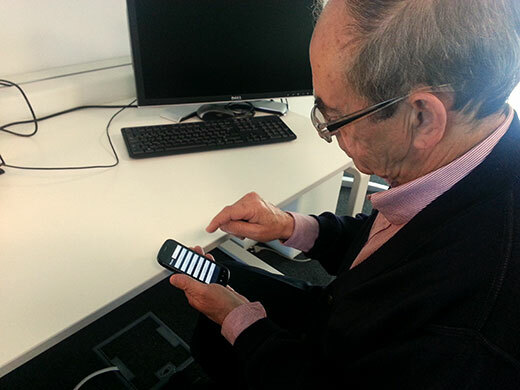 Fraunhofer AICOS’s researchers are still evaluating the fall risk of the Portuguese senior population through a smartphone application, for the project FCC – Fall Risk Assessment. 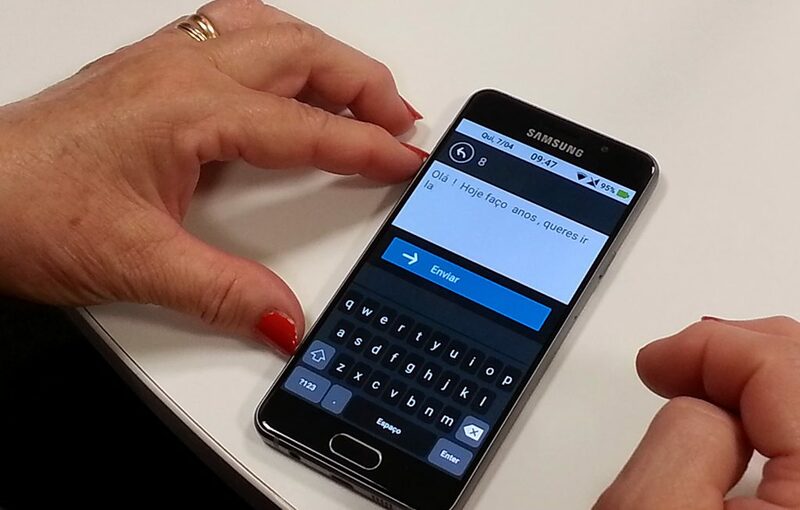 The evaluation is consists of a physical test and questionnaires, both supported by the software developed for smartphones. As always, we count on our COLABORAR friend’s readiness to help, who constitute a sample of the Portuguese senior population. 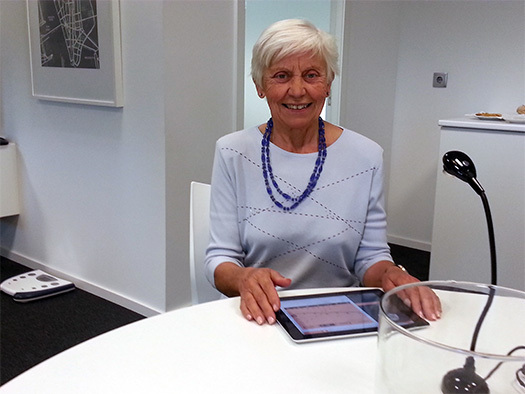 It is so motivating to see older adults using interfaces for tablets especially designed by Fraunhofer AICOS for them! Colaborar. Together we simplify the future. 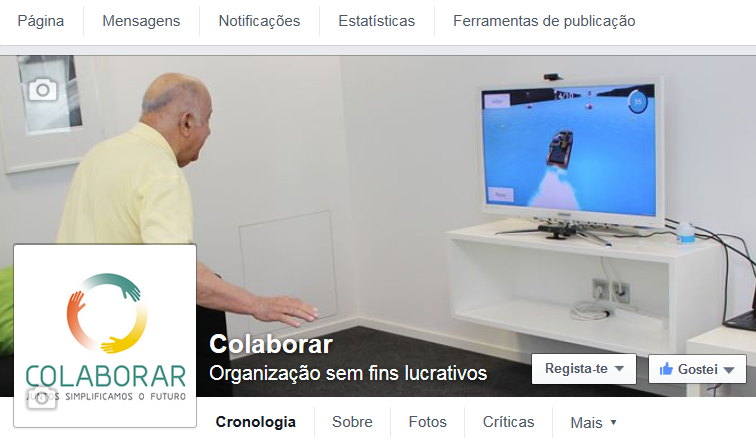 If you are over 50 and you want to keep up to date with new technologies and help design technologies that seniors just love, join us on COLABORAR. Sign up here and we will contact you soon. Have the seniors you know ever participated? 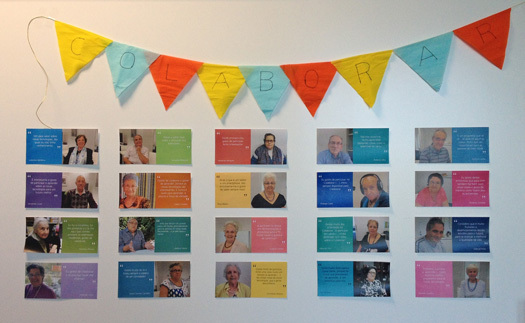 COLABORAR is a project that brings together seniors and researchers in the process of user-centered design, which is very important in research and development projects in the area of Information and Communication Solutions targeting older adults. 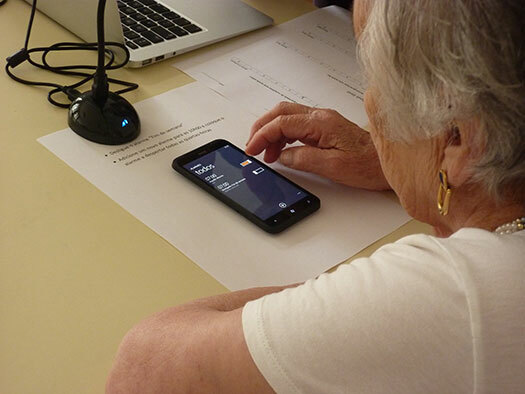 Seniors will learn more about technologies while enjoying to help build easy and useful solutions for other seniors! Institutions can sign up here.